The Burlap Butterflies Craft is a creative and interactive activity that encourages artistic exploration and fine motor development in students. 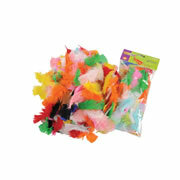 Using burlap, Kwik Stix, and feathers, students will be able to create a butterfly of their very own. As they decorate their butterflies, students will develop the fine motor skills needed to use writing utensils and other art supplies. How does making Burlap Butterflies allow students to develop fine motor skills? Designing the butterfly encourages creative exploration and artistic development while also helping students to develop fine motor skills by using various decorations. 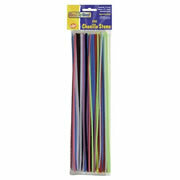 Gluing feathers challenges the development of children's grip, precision, and organization. 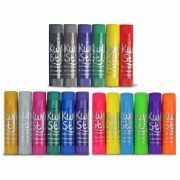 Kwik Stix, which are large tempera paint markers, help students to develop the manual dexterity needed for writing and drawing. Why is it important to include activities to develop fine motor skills in the classroom? The classroom is an ideal place to instruct students and have them engage in group activities. Students will learn to develop the fine motor skills necessary for holding writing utensils, gripping small objects, sorting, and more. Encouraging students to develop these skills through artistic creativity and group play fosters a healthy relationship with learning and encourages social and emotional development in group settings. Activities such as Burlap Butterflies allow students to gain confidence in their motor skills and improve their overall dexterity. 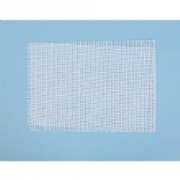 Have students use Kwik Stix and feathers to decorate a burlap square to their liking. Encourage students to use a variety of mediums and designs. Use a pipe cleaner to cinch the decorated burlap squares in the middle to create the form of a butterfly. Add the Burlap Butterflies Craft to your list of art activities or to your lesson plans about butterflies. Be sure to browse our selection of manipulatives and related resources to help children work on developing their dexterity.